Y570 - Why do games run better off my battery and choppy when its plugged in? so recently, I've purchased a ideapad y570 laptop at newegg. Received it and tried playing some games on it, but gameplay in heavy games was an interesting experience- in a bad way. Im talking about games like GTA IV and Battlefield: Bad Company 2. For every three seconds, the game froze for a second, and this became a repitition. However, this happens when my computer is plugged in and charging. When I remove the cord, the game runs smoothly. This issue has been also discussed by M47R1X. However, even through browsing through all three pages of discussion and trying all proposed solutions, I still couldn't find how to get rid of this problem. I probably think this is a GPU/Battery Problem as proposed by M47R1X, as the performance or fps fluctuates when the power plug is plugged in. 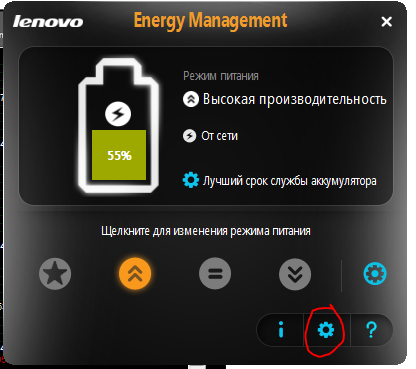 The solutions I've tried is tweaking the power settings on both on windows power functions and the lenovo energy management based on the afore mentioned discussion. Downloaded the 275.33 nvidia driver and the inf to succesfully install. Both methods provided little change, (the battery tweaks actually made it worse for GTA). I hope we can succesfully resolve this problem and maybe get a proper solution. I know that my computer is very capable of running GTA IV on my computer as I saw many videos of proof and reviews claiming to run high settings on gta iv on this computer. I have the same problem with ac power GPU "lagging"
GTA 4. medium settings. fullscreen. Woop woop! I followed the best I could and with a little more guided trial and error, I determined from the info given by The Magnificent Kirill (I added that part) what the issue was! Smart power-saving hard disk is what seems to mess it up. I left the Smart power-saving CPU checked and the game ran just fine. So it seems that our pals at Lenovo have an update due, LOL. Whatever the case, it works perfectly fine without the HDD power saving. Thanks to Kiririll, Esoteric, Duck3, Defjam, and yigit for all of the help! What's the default setting? Were they both checked by default? 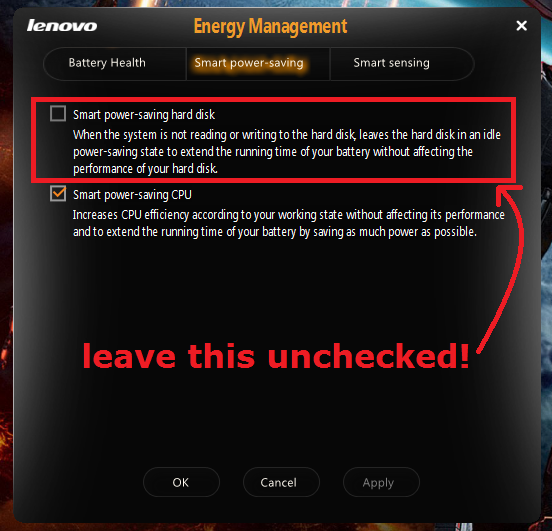 What if you uncheck the Smart Power-saving CPU? Thanks to Kirill and everyone right here sharing your solution. Maybe on next weekend i will make full detailed tests with different drivers and settings. With perfomance screenshots and etc. They had both defaulted to "Enabled", if I remember correctly, and unchecking the Smart Power-saving CPU did absolutely nothing. I have been using it for gaming since with only smart power-saving hard disk UNCHECKED, and it works just fine. Whatever the issue is, it's in there. Thanks again Kirill, and the full benchmarks would be a great help to anyone! Hello, I purchased my Y570 a week ago, and I recently downloaded GTA IV and experienced the stuttering problems. I updated my graphics drivers to the stable 275.33, used the energy settings you stated, and even lowered the settings, however i am still experiencing this problem.. I can run the game smoothly with no stuttering on the battery, but with the ac adapter the game begins to stutter and gets choppy. I played with the settings just like you did, and it seemed that for a while, energy star was smooth, but after a while it resumed the stuttering and choppiness. Can anyone provide a suggestion!!! Hello, I recently bought a Lenovo Y570 (last week to be exact), and I am experiencing stuttering during my games (mostly GTA IV). I do realise that GTA IV has stuttering problems and fps drops but this is different. I updated my drivers to 275.33, played with energy settings, and even reduced the settings on the game - Yet they have no effect on the stuttering. When i remove the ac adapter from the laptop, though, all of a sudden it becomes fully smooth and playable. I seriously am at a loss on what to do. My dad just bought this laptop and it arrived less than 6 days ago. 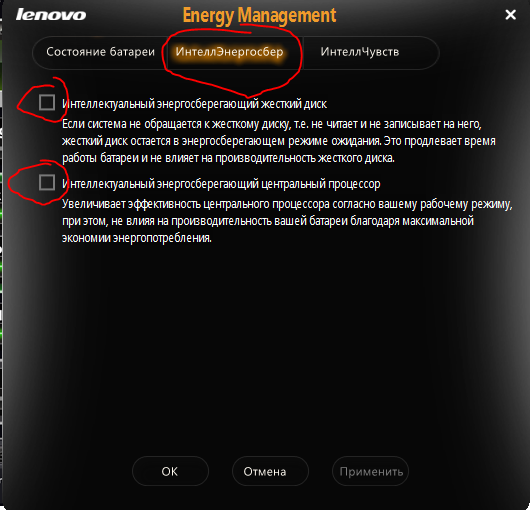 I don't know if its the fault of the AC Adapter, the energy management program by Lenovo, or a GPU problem. Should i send it back? Or is it just a simple software problem that i can fix. and i followed what it said. It did help at the beginning for about 10 minutes, but then it resumed the stuttering. I am not sure if it was because i was using the default settings for Energy Star/Super Energy saver (or watever its called), or if it was because of the changes I made in the Smart Power Saving tab.